this post is sponsored by freshly picked but all thoughts and opinions are 100% my own. way back when i pictured myself having kids, i pictured boys. i saw little mudprints and stained shirts and hunting and fishing everything all over our house. not that i necessarily wanted the hunting and fishing anything but i just figured it would be the cards that god would give me. and i was okay with that. now that we have our little girl, who couldn’t be more of a girl might i add, and we’re expecting our second baby girl in just a month, it gets more and more fun to pick out outfits every morning. we didn’t find out addison’s gender so those newborn days were a lot of gender neutral clothes but she is all pink now and couldn’t be more proud of it. plus she can rock a dress like nobody’s business. the only problem we have is keeping those darn headbands on her head but, you know, i’ll take what i can get. up until addison started walking, i didn’t really bother with shoes. she had a hard enough time keeping her socks on so shoes just didn’t make sense for our little barefoot babe. but since she’s been on the move, she wears through shoes quite quickly because she is always running and very busy. when we were offered up the opportunity to partner with freshly picked, i snatched the chance up in a heartbeat. this spring i bought addison’s first pair of freshly picked moccasins (in gold!) and they were the only thing she ever wore. they were so soft and comfortable for her little feet, plus so stylish. i swear she got more compliments on those shoes than anything i’ve ever owned. this fall she’s rocking the salt flats. i love that they go with everything and they’re super easy to get on and off her feet. now when she gets dressed in the morning the first things she does is point to her little moccasins and says “shoe?”. okay babes, let’s give those moccasins another spin! now for the best part! 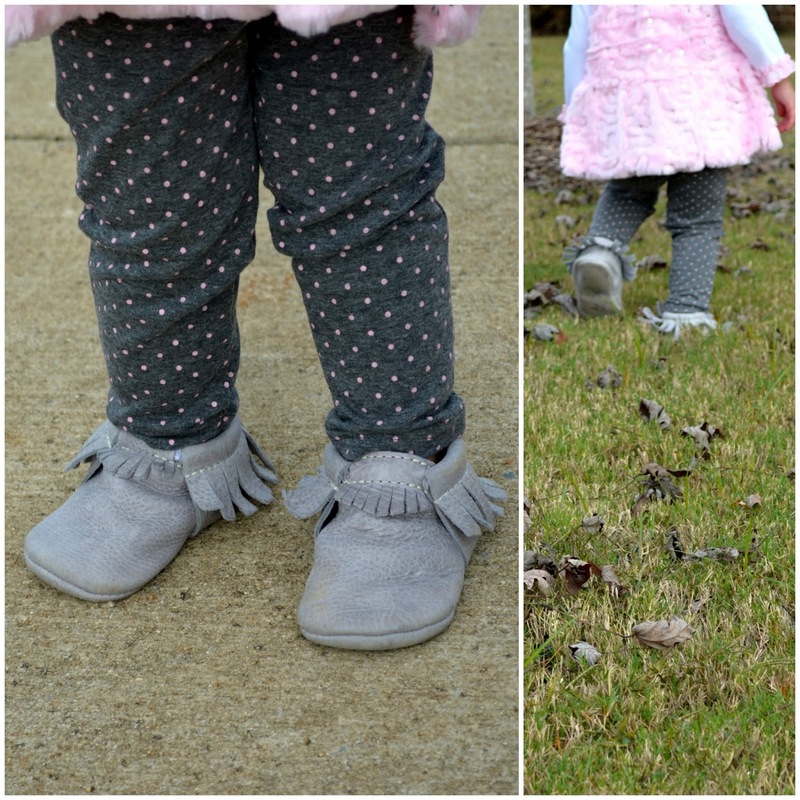 one of you will be chosen to win your own pair of freshly picked moccasins in the color of your choice for the little one in your life! to enter, head on over to instagram and follow myself and freshly picked, like the post in my feed and tell me who you would love to see wear these moccasins! Addison is one stylish little girl!